Max Pescatori has been a game player his whole life. So, it is not surprising that poker seems to come naturally. Yet, along with his natural abilities, he has worked long and hard and has sought out advice from top poker players. As a youngster he was torn between soccer and poker, but eventually he realised that he was not going to make it in the professional world of football and that he was actually very good at Poker. From that moment on he knew which direction the rest of his life would take. Pescatori was born in Milan, Italy. There, he was such a fan of games as a youngster that he would opt to practice them rather than go in for any other form of recreation. Max was first introduced to card games whilst on vacation with his family and their friends. Soon after, when max was just 11 years old, he and his father played a game called “Scopa” in a tournament. Scopa is an Italian card game which is very popular in Italy. Max and his Dad won the tournament and went home with the trophy and his interest in card games was triggered. When Max turned 15 years old, he learned the game of poker and found he enjoyed it very much. 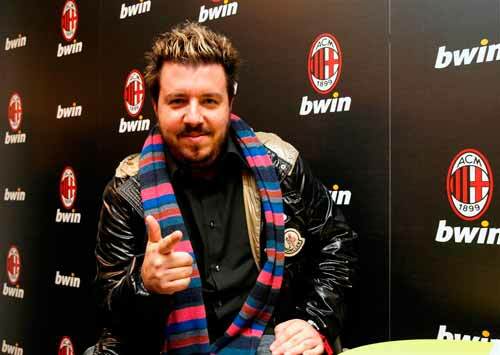 In 1994, he left Milan to go to the United States to play poker in Las Vegas. He did not even know how to speak English. He had always been a 7 Card Stud player so that is the game he started out with. However, after playing for a while, Pescatori saw that there was more money to be made from Texas Holdem poker and so made the switch. He was playing cash games in Las Vegas in 1998 when he met Valter Farina. This was the only Italian to win a WSOP bracelet at the time. 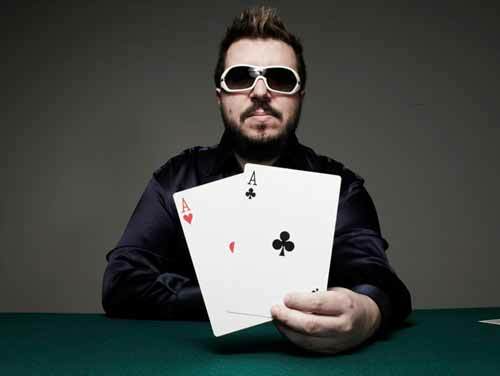 Farina mentored Pescatori for the next year and in 1999 Max became a professional poker player. Along with live action, he played on the internet. In 2001, he earned a place in the World Poker Tour’s Aruba Tournament through an online poker site. He was on his way to the big time. Just before the tournament, he met a few other poker pros who had been playing for several years. He especially hit it off with Jennifer Harman. She even let him in on the cards she held when she was playing at a table with some of the best in poker. He took away valuable lessons from that experience. 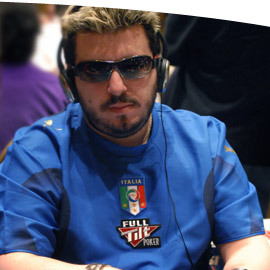 In 2003, Pescatori won his first major tournament event at the World Poker Challenge in Reno. It was a $300 Limit Hold ‘em event. He won the Omaha Hi/Lo a few days later. He made 10 final tables in all in 2003. In 2004, Pescatori was present at 8 final tables in the Ultimate Poker Challenge. He won the WPT Legends of Poker No Limit Hold ‘em event for over $106,000. The next year, in 2005, he did well at the National Championships of Poker, got second place at the WPT Poker Showdown and also came in 5th at the Omaha Pot Limit event among other events he tried at the WSOP. 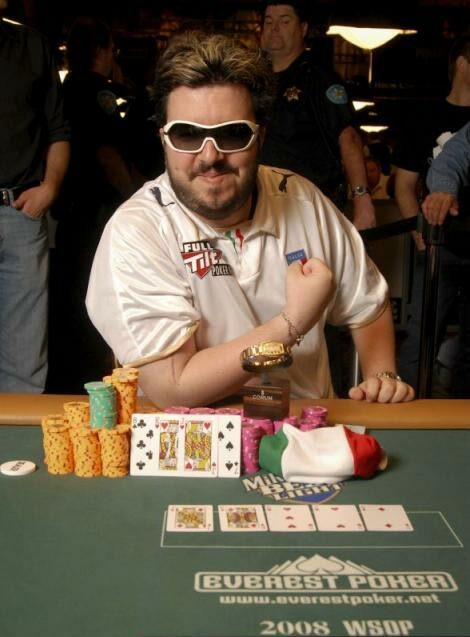 In 2006, Max Pescatori won his first WSOP bracelet with a win of $682,389 in the $2,500 No Limit Holdem event. He continued his winning ways with a win of over $135,000 for first place at the Italian championships No Limit Hold‘em in 2007. Perscatori continued his success at the World Series of Poker by winning a second bracelet in 2008, this time in the $2,500 Pot Limit mixed Holdem/Omaha event for a prize of $246,471. Max Pescatori, known as the “Italian Pirate,” has total winnings of $3.3 million. He writes for Card Player Magazine and is also spokesman for the World Poker Exchange. If you see this avatar on Full Tilt Poker then you are playing with Max Pescatori! He likes to play games other than Hold ‘em when he can, and is often found playing at the tables of Full Tilt Poker where he was a former sponsored player and still holds the card room dear to his heart. Want to Chat and Play Poker with Max Pescatori?